Visit the Steelers' official website for your daily fix of team information. Steelers guard Ramon Foster has seen all of the comments from inside and outside Pittsburgh's locker room and has offered a solution to prevent the public airing of grievances. Ryan Shazier posted a video of himself box jumping over the weekend. The Pittsburgh Steelers linebacker is attempting to come back from a neck injury suffered two seasons ago. Antonio Brown might have left Pittsburgh, but he has not left Twitter, for better or worse. Brown and JuJu Smith-Schuster criticized each other's play and leadership in a series of tweets Sunday. The Pittsburgh Steelers are parting ways with safety Morgan Burnett, the team announced Monday. Burnett inked a multiyear deal with Pittsburgh last year. Steelers general manager Kevin Colbert said that the recent chatter regarding Ben Roethslisberger's locker room personality and conduct is just "white noise." Beginning Sunday, NFL owners will meet for the Annual League Meeting. Among topics to be discussed is whether replay should be expanded. Steelers president Art Rooney gives his opinion on the matter. Antonio Brown made it clear upon exiting Pittsburgh that he was dissatisfied with Ben Roethlisberger's leadership. Le'Veon Bell echoed that sentiment in a recent interview exploring his breakup with the Steelers. Former Los Angeles Rams linebacker Mark Barron is signing a two-year, $12 million deal with the Pittsburgh Steelers. Barron will also receive a $5.75 million signing bonus. Another step forward was taken for Ryan Shazier, as the Steelers announced his contract will be tolled into the 2019 season with the linebacker remaining on the roster and eventually being placed upon the Reserve/Physically Unable to Perform List. JuJu Smith-Schuster is ready to step up within the Steelers offense following the Antonio Brown trade. The receiver posted a photo on social media with the caption "I'm ready." The Oakland Raiders and Pittsburgh Steelers have agreed to terms on a deal for All-Pro wide receiver Antonio Brown, according to Ian Rapoport. Gregg Rosenthal breaks down the winners and losers. 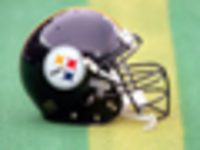 4/16 Xavier Grimble (TE) No Offer Sheet Executed (no offer sheet executed). 4/9 Casey Sayles (DT) Free Agent Signing (free agent signing). 4/8 Winston Craig (DT) Free Agent Signing (free agent signing). 4/5 J.C. Hassenauer (C) Free Agent Signing (free agent signing). Mike Tomlin became the 16th head coach in Steelers history when he replaced Bill Cowher on Jan. 22, 2007. Tomlin, 34, was the Minnesota Vikings' defensive coordinator in 2006 after spending the previous five seasons (2001-05) as defensive backs coach for the Tampa Bay Buccaneers. He replaced Cowher, who resigned after 15 seasons as the Steelers' head coach. Prior to joining Tampa Bay, Tomlin spent two seasons as defensive backs coach at the University of Cincinnati (1999-00). Tomlin began his coaching career in 1995 as wide receivers coach at Virginia Military Institute. He coached defensive backs and special teams at Memphis in 1996, before moving on to Arkansas State, where he coached wide receivers in 1997 and defensive backs in 1998. Under Tomlin's guidance, Minnesota led the NFL in stopping the run and ranked eighth in the league in total defense. At Tampa Bay, he helped the Buccaneers lead the NFL in pass defense in 2004 and rank third in 2003. In 2002, Tomlin guided Tampa Bay's defensive backfield that led the NFL in pass defense and interceptions (31), while limiting opposing passers to a 48.4 rating and just 10 touchdowns en route to winning Super Bowl XXXVII. The Buccaneers ranked fifth in the NFL in pass defense and second in interceptions (28) in 2001, Tomlin's first season in Tampa Bay. Born in Hampton, Va., Tomlin was a three-year starter at wide receiver for William & Mary and finished his playing career with 101 receptions for 2,053 yards and 20 touchdowns. He was a second-team All-Yankee Conference selection in 1994.